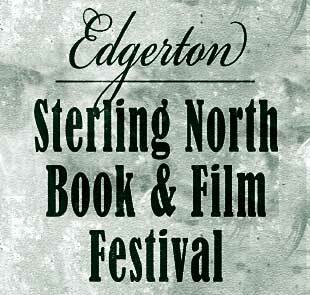 Just a reminder to let people know that I’ll be at the 2009 Sterling North Book & Film Festival in Edgerton, Wisconsin this weekend. If you’re in the area, feel free to come by, attend my panel, say hi, and so forth. 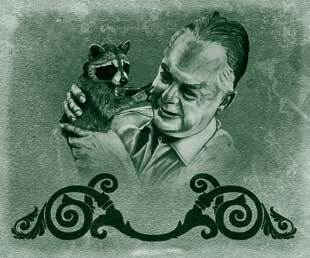 I’ll be doing a primitive slide show in PowerPoint format (my first time using PowerPoint; don’t expect wonders) as I discuss my career and the craft of making comics. Schedule, map and other such info can be found at the official site, which has been updated with this year’s details (it still says “2008” at the very top of the window, at least in Safari, but the rest of it’s right, I think). I’m still sorry I missed Edgerton’s Chilimania! festival in September, but with guests including Malachy McCourt, Leroy Butler and others, this should be an engaging event on its own. 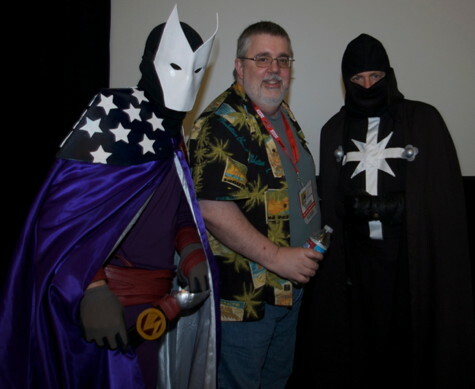 In other convention news, I’ve just accepted an invitation to be a guest at Comicon International 2010 in San Diego, California, which runs July 22-25. More details as they become available. Sure, Marvel bought Marvelman and DC bought the THUNDER Agents and Dark Horse is having Jim Shooter re-do the Gold Key heroes and Johnny Depp crashed the con and all kinds of stuff. I, personally, was thrilled to get a chance to talk with Peter S. Beagle and tell him how much his work has meant to me, am glad to have a copy of Darwyn Cooke’s magnificent new The Hunter graphic novel, and had a very good time talking with old friends and co-workers—and new ones, as well. But pff. It all pales next to the biggest news in comics. 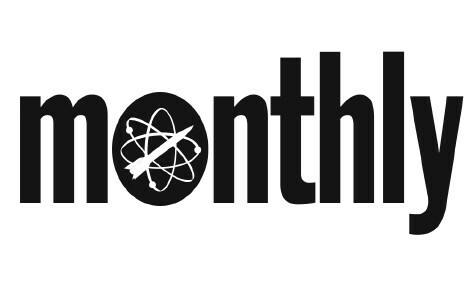 That’s right—we’re going monthly. We were monthly for our first five issues, back in 1995, and we’ve been monthly for brief stretches thereafter, and now we’re going monthly again. For longer stretches, I sincerely hope! Astro City: The Dark Age Book Three #4 comes out next month. September and October will see the two-part Astra character spotlight. Then there’ll be a two month break. Then 2010 kicks off with Astro City: The Dark Age Book Four, followed in rapid succession by a Silver Agent character spotlight tale, wrapping up all the Dark Agery—and then, at long last, Astro City #23. And onward from there. It’ll have been only a decade or so since #22, and a multitude of minis, specials and such in between, but it’ll be good to get back to Astro City as an ongoing series. My health has been slowly improving, the yearlong Trinity proved that I can handle a large and sustained workload without my fatigue issues knocking me out for a week or two at a time the way it used to, and I’ve been able to write the kind of material Astro City needs to feature. Brent, on his part, is starting to shift to digital artwork, drawing his pages largely in the computer via a Wacom tablet, which cuts out a lot of repetitious in-between steps and will hopefully speed him up as well. The results so far look gorgeous, and he’s got the rest of this year to get comfortable with it. And we’ve got lots planned—from a look at the inner workings of Honor Guard to the origin of Winged Victory (as part of a story that involves Samaritan and the new Confessor as well), to an exposé into the secrets of the decades-long N-Forcer program, and even, at long last, that talking-gorilla story I’ve been threatening for years. Plus other cool stuff and some format surprises as well.